Saints coach Sean Payton easily could have teed off on the officials after Sunday's NFC title-game loss, happily paying whatever fine came his way. He didn't. 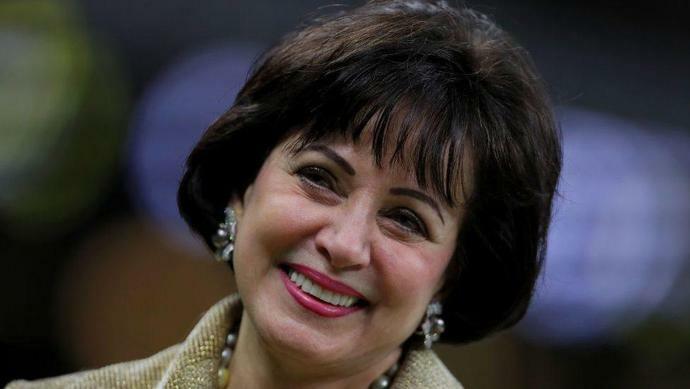 On Monday, Saints owner Gayle Benson essentially dared the league office to impose a fine on her via a statement that, while not blistering on the surface, was the equivalent of a knife in the gut administered with a smile on the face. "I am thoroughly disappointed by the events that led to the outcome of yesterday's game," Gayle Benson said in the Monday statement. "No team should ever be denied the opportunity to reach the title game (or simply win a game) based on the actions, or inactions, of those charged with creating a fair and equitable playing field. As is clear to all who watched the game, it is undeniable that our team and fans were unfairly deprived of that opportunity yesterday. I have been in touch with the NFL regarding yesterday's events and will aggressively pursue changes in NFL policies to ensure no team and fan base is ever put in a similar position again. It is a disservice to our coaches, players, employees and, most importantly, the fans who make our game possible. The NFL must always commit to providing the most basic of expectations - fairness and integrity." It's a powerful, and appropriate, reaction, filling the void of silence that the league has created by opting for leaks regarding potential fixes over Commissioner Roger Goodell issuing a statement of his own, on his own. So would the league office, at a time when it's essentially hiding under the bed and waiting for the danger to pass, dare to whack Gayle Benson for saying that which Goodell won't? It's another delicate spot for the league, because people who have been fined for criticizing officiating are definitely paying attention to whether Benson receives consistent treatment. Put simply, the mess that the league has failed to properly clean up has led to another mess. Which the league inevitably will fail to properly clean up.